Students from Philadelphia Academy Charter High School want to bring plant walls to local classrooms. 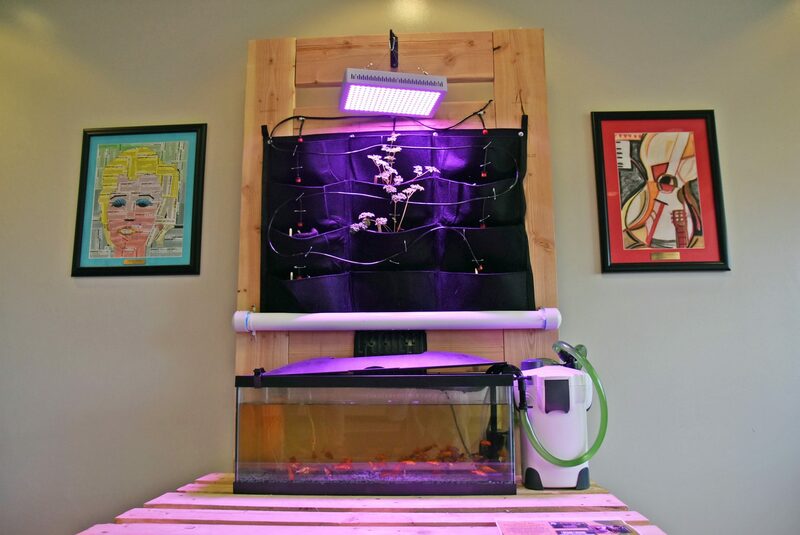 Inside a classroom at Philadelphia Academy Charter High School, an 18-foot-tall plant wall is fed by three huge water tanks, one of which contains 15 fish. At max capacity, the wall can accommodate 830 plants. The 300- to 400-gallon tanks sustain the plants, and the waste created by the tilapia fertilizes them. 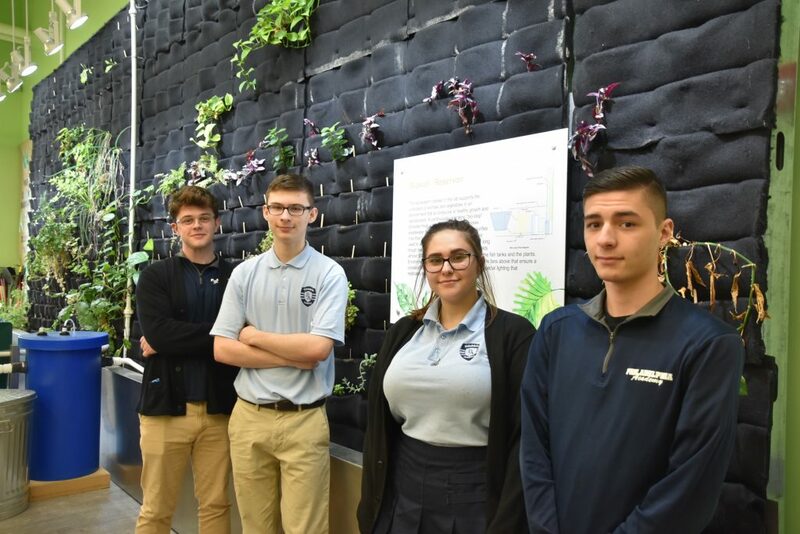 The Far Northeast school opened its biotech lab in November, and, if a group of 11th-grade PACHS students have their way, miniature versions of the plant wall will be popping up in other area schools. Their project to create smaller plant walls that could be installed in normal-sized classrooms finished second last month in a regional contest that was part of the Governor’s STEM Competition. Students from Philadelphia, Chester County and Delaware County competed. Ecology teacher Robert Mottershead, who guided and advised the students, said the group plans to build six small plant walls by the end of the school year. They are in the process of reaching out to schools interested in having them, he said. Vlad Muzyka, 16, of Somerton, said the walls could have a number of benefits for students and teachers. PACHS culinary classes use some of the plants grown on the big wall for their recipes. For example, students pull parsley and basil when making pasta, Mottershead said. Muzyka and fellow juniors Daniel Bianowicz, Jacquelyn Koschak, Anthony Martella and Hayden Gruskin spent two months designing, developing and building the project for the STEM competition. “I enjoy competing, and something about being part of this elite group of students, to come together and build a project, drew me into it,” Martella, 17, of Morrell Park, said. The wall the students built is much smaller, with goldfish instead of tilapia. 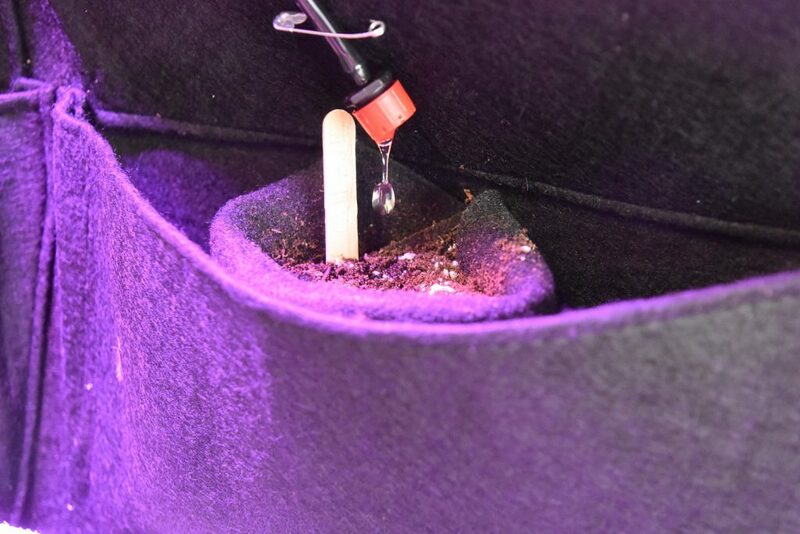 It has a timer on the back to regulate the lighting and irrigation systems. “So basically, all you have to do is feed the fish, and the plants will be OK,” Bianowicz, 16, of Pennypack, said. All of the students said they were interested in ecology and biology, and a few of them said pollution and climate change motivated them to get involved in the project. Koschak, 17, of Parkwood, said she sometimes walks home from school and notices wooded areas filled with trash. “From what you see outside, it’s kind of terrible what we’re doing to the planet,” Bianowicz said. Mottershead said the students are now spending their time in class working to improve the device they made for the competition.